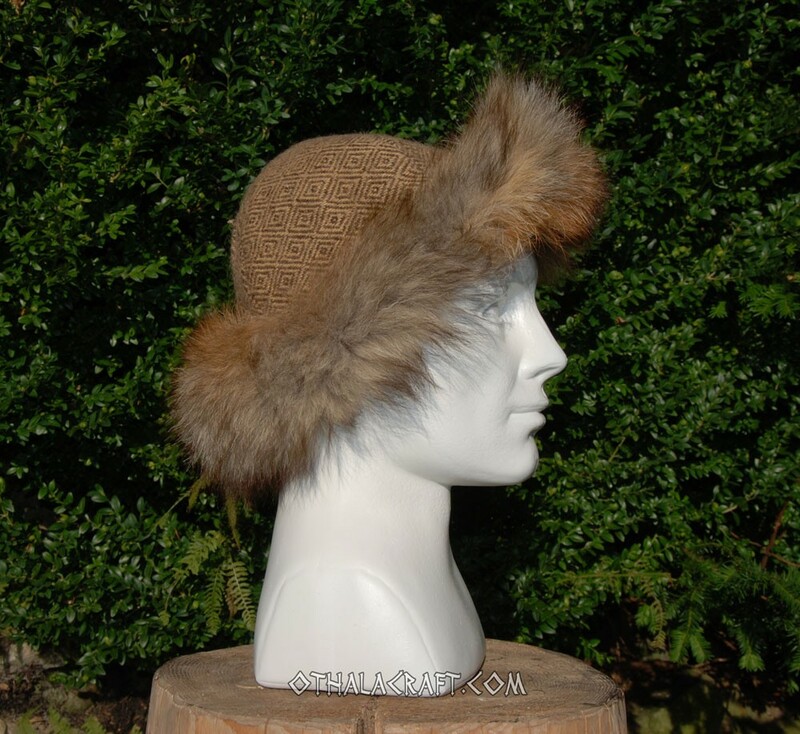 Beautiful hat made in four wedges, Every visible stitch is hand made with linen thread, inside stitches are machine. 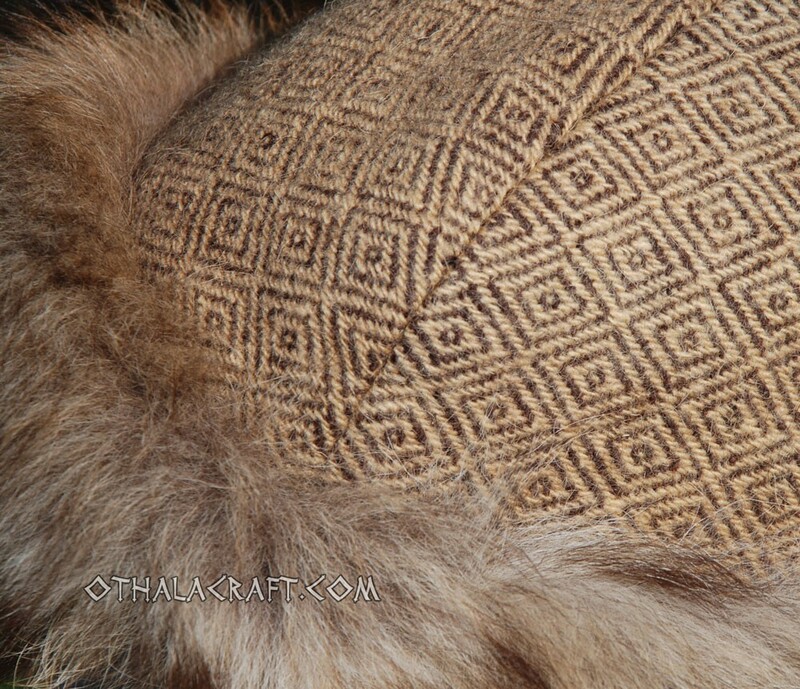 Made of hand woven wool in a diamond pattern, plant dyed. 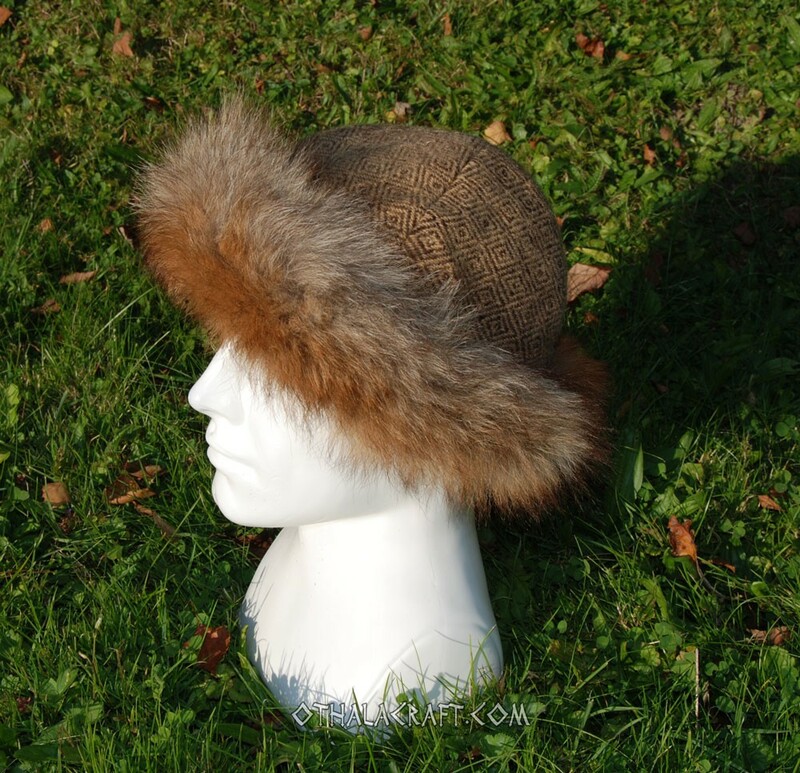 Hat has a lining of linen on the inside. 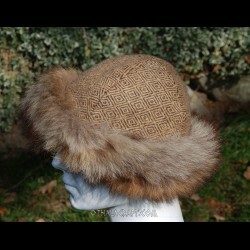 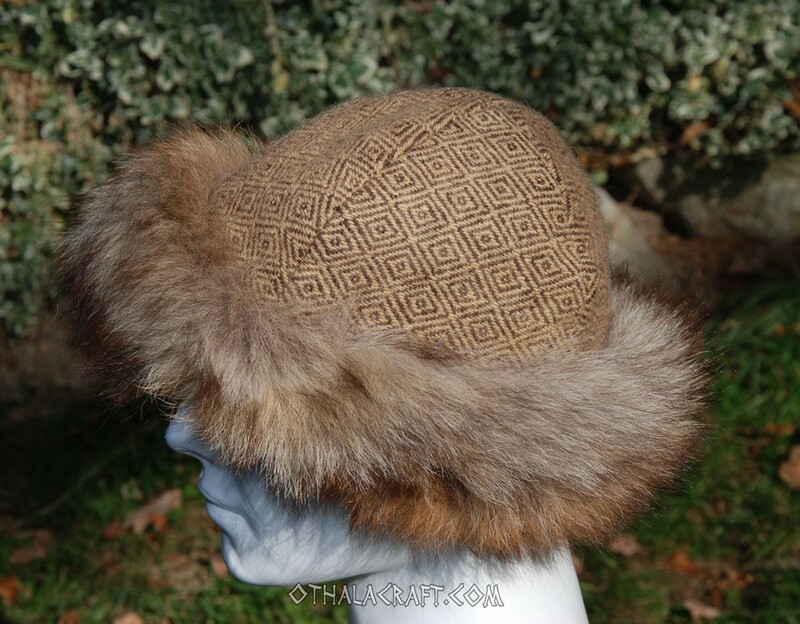 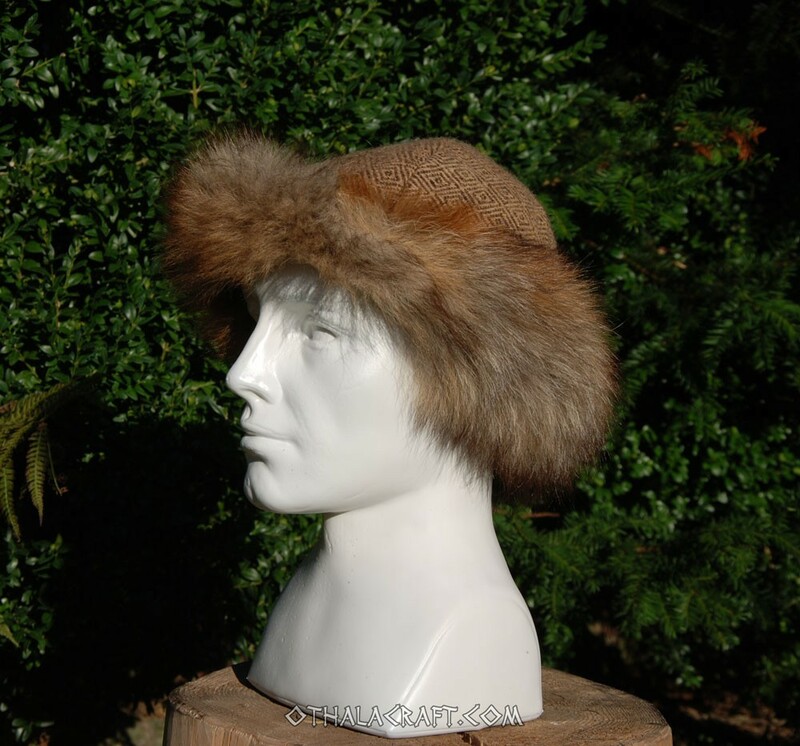 This type of hats has been worn both in Scandinavia and in Slavic areas. 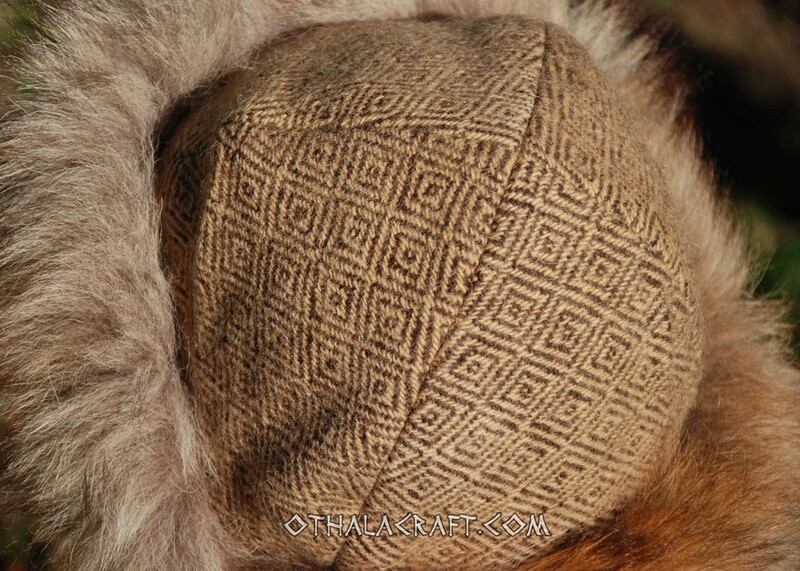 The girth measure on the inside is 60 cm, deep 19 cm. 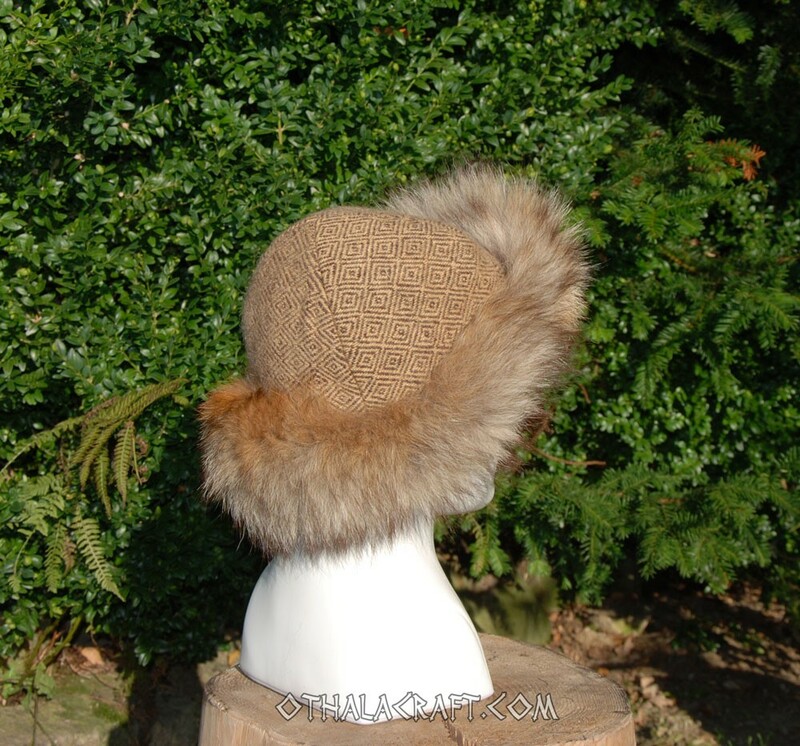 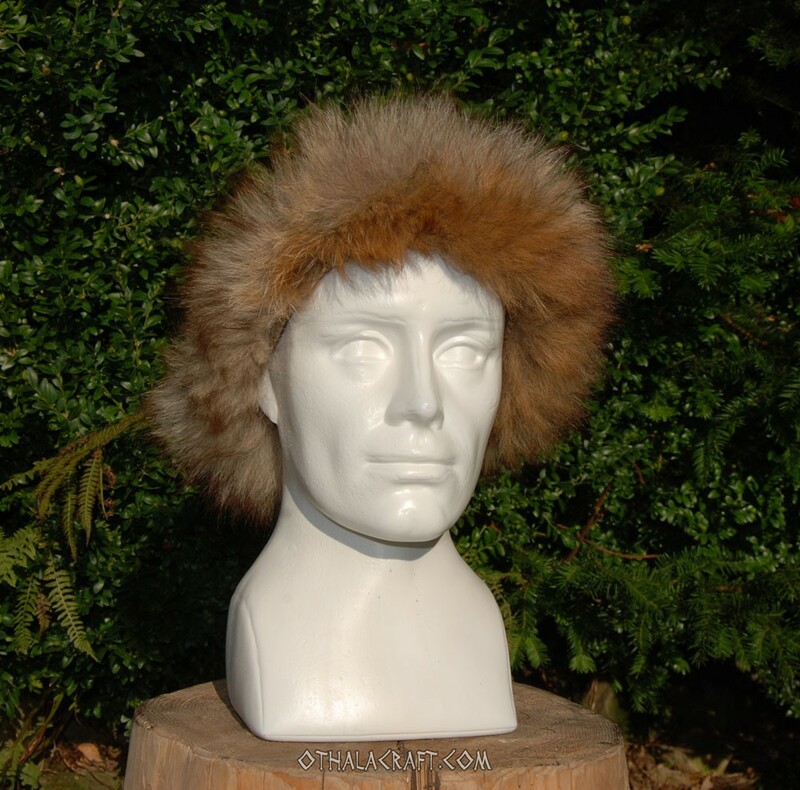 The hat is finished with fur from a forest fox’s tail.